In this two-part series on contested access in the Solomon Islands campaign, Part One will explore one of the IJN’s most successful weapons of World War II, which made area denial a reality for the IJN, the Type 93 ‘Long Lance’ torpedo. Part Two will compare the similarities of the Long Lance development to that of the DF-21D and discuss how the U.S. ultimately dealt with the Long Lance. As I mentioned in my introductory post, the intent of this column is to explore the historical use of strategies, tactics, and technologies which fall under the broad definition of anti-access and area denial (A2/AD). One of the most common practices of a nation using A2/AD is the adoption of asymmetric tactics and associated weapons systems to mitigate an adversary’s advantages in numbers and technology. However, it this column’s assertion that the U.S. Navy may lack an appreciation for these asymmetric threats. This is not due to a wanton disregard for A2/AD strategies and tactics, nor an unhealthy reliance on its weapons systems and technology. Instead, this lack of appreciation can be attributed to two factors. First, the U.S. Navy has not been truly challenged at sea since the end of the World War II. As such the Navy has produced several generations of naval officers that have no high-end combat experience. The second factor is a byproduct of the first. Since there has been no combat at sea for over 70 years, the Navy lacks case studies for training its current batch of officers. Therefore, this column will tap into the Navy’s combat history and offer historical examples that are arguably useful for contemporary and future challenges. For instance, the Solomon Islands Campaign is littered with examples of what today can easily be categorized as A2/AD strategies and tactics. During the Solomon Islands Campaign, the Imperial Japanese Navy (IJN) employed a strategy based on anti-access, in which they aimed to keep out the U.S. and allied powers from the inner reaches of the Japanese Empire. To that end, Japan developed several platforms, weapons systems, and tactics which would facilitate this strategy. Moreover, in the years leading up to the start of WWII, the IJN faced a predicament like the one that drove the Chinese to develop the DF-21D anti-ship ballistic missile, that is, the challenge of how to deny freedom of access and maneuver to and ultimately defeat the U.S. Navy. 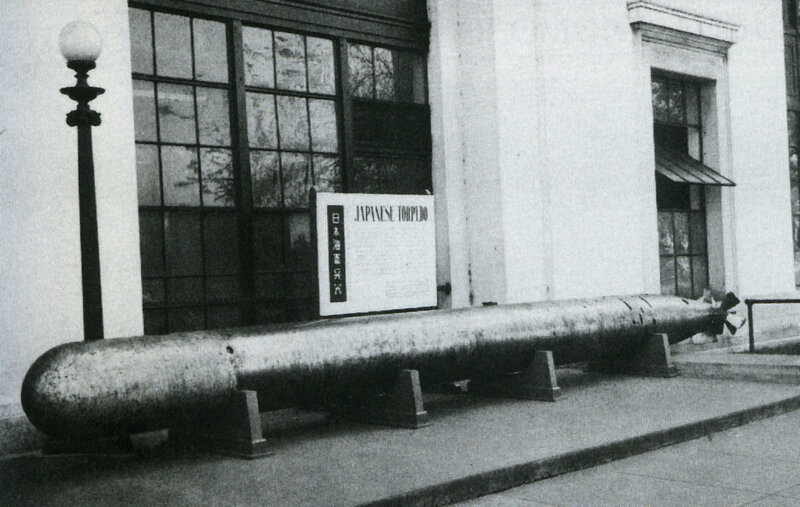 Type 93 torpedo, recovered from Point Cruz, Guadalcanal, on display outside U.S. Navy headquarters in Washington, D.C., during World War II. One of the most sophisticated and deadly weapons of WWII was the Type 93 torpedo. This torpedo was the ship killer of that era. The asymmetric tactics developed for its use in combat were revolutionary. Much like the DF-21D, the Long Lance was in development for 20 years. Experimental work began in 1916, and by 1935, IJN weapons designers had produced a working 24-inch torpedo. “Long Lance was the most powerful weapon of its kind in the world as it was 29ft, 6.3 in long, weighed 5982 lbs, carried a warhead of 1080 lbs, and had a range of 21,900 yards at 48-50 knots, 35,000 yards at 40-42 knots or 43,700 yards at 36-38 knots.”1 Granted, launches beyond 20 miles were unlikely, but the Type 93 gave the IJN a standoff weapon that could be launched outside of visual detection range, especially at night. Additionally, the Long Lance out-ranged the guns of all USN ships except battleships, making this a particularly effective long range anti-access weapon. Finally, the U.S. Navy had no effective countermeasures or defenses against this torpedo. To optimize the capability and destructive power of the Long Lance, the IJN incorporated it into their night-fighting tactics. “The origin of the Japanese Navy’s tactic of stressing the night engagement was old; in both the Sino-Japanese and Russo-Japanese wars this tactic was used.”2 It should have come as no surprise that the IJN continued to develop night-fighting tactics given their success in these two conflicts. However, the USN surface forces had an air of invincibility and arrogance about them and held the IJN in contempt. 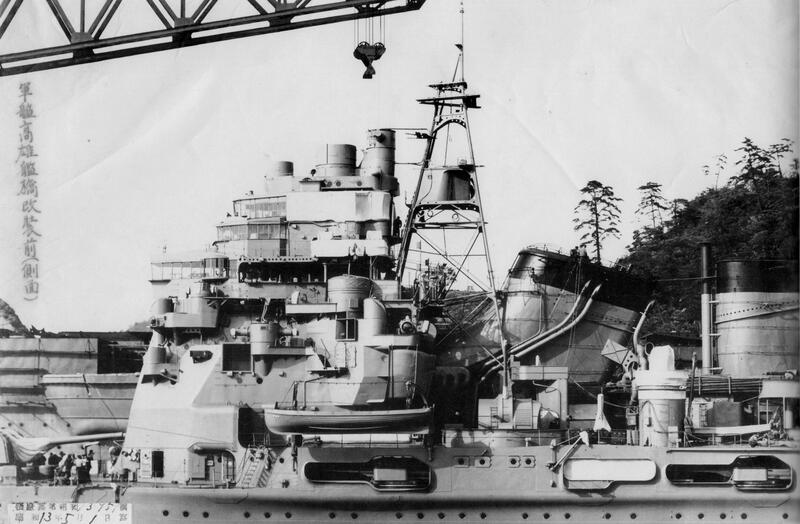 This contempt was based on beliefs that the USN was technologically superior and more experienced, especially when compared to the IJN, which was only 70 years old.3 While USN battle tactics were still dominated by the pursuit of daytime gunnery engagements, and some U.S. Navy ships had radar, the IJN developed tactics to counter this practice mainly by the use of torpedoes coupled with guns fired in nighttime engagements. “Standard Japanese night-fighting doctrine was to launch torpedoes first, use gunfire only when necessary and searchlights as little as possible.”4 As the Long Lance was wakeless, it was nearly impossible to detect at night. The IJN counted on the USN to be taken unawares by this tactic and thus to be unlikely to maneuver. To facilitate this tactic and remain undetected, the Japanese’ primary method of detecting surface ships was the use of superb night optics. In fact, the IJN was constantly refining night optics during the interwar period and was regularly producing world-class optics in the 1930s. “Particularly noteworthy were binoculars of powerful magnification and light-gathering capacity, featuring lenses as large as 21 centimeters.”5 To use these binoculars, the IJN selected men to be trained as Masters in Lookout, and these petty officers trained day and night to hone their skills.6 No other navy of the era had lookouts as highly trained as these. When combined with the night optics, these men were in fact a part of the Long Lance weapons system. The U.S. Navy’s first encounter with the Long Lance was in the early morning of August 8, 1942 in Savo Sound off Guadalcanal. On the previous morning, the U.S. Navy had landed Marines on Guadalcanal and Tulagi as part of Operation Watchtower. Upon hearing the news of the invasion, Vice Admiral Gunichi Mikawa, Commander 8th Fleet, pulled together a force of seven cruisers and one destroyer and sailed for Guadalcanal that afternoon. 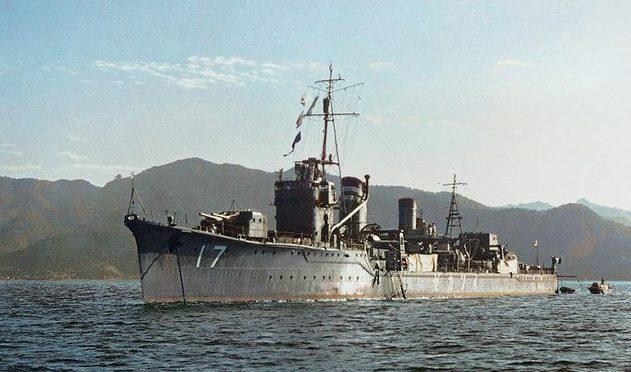 The Japanese heavy cruiser Chokai, which led the IJN attack at Savo Island. The recessed torpedo tubes are clearly visible under the whaleboat and second stack. Two things stand out here as noteworthy anti-access tactics. First, part of an area defense strategy will likely include forward-based forces that can rapidly respond to an incursion and immediately conduct active defensive operations. In this case, it was Mikawa’s eight ships which caught the U.S. Navy completely unawares even though this operation was being conducted inside the IJN’s defensive sphere. The second A2 tactic was the night attack using a long-range, undetectable weapon. Much of today’s angst regarding A2 systems assumes the very same thing. Once the defenders realized they were under attack, it was entirely too late to respond and because of the nature of the Long Lance, it remained undetectable. The element of surprise was made all the more decisive by the effective use of a powerful anti-access weapon. A2 tactics are nothing new, and today’s Navy is aware of what those tactics may entail and which potential adversaries embrace these tactics today. Back in the Solomons, the USN’s troubles with the Long Lance would continue well into 1943. Ultimately, the Navy learned to adapt its tactics, techniques, and procedures (TTPs) to mitigate the threat posed by the Long Lance. However, what is important in this example is that no active counter measure was developed. Instead there was a realization that the threat was not going away, and a significant amount of risk was going to be present while conducting operations in the waters of the Solomon Islands. Acceptance of significant risk is an important part of defeating an adversary that aligns its strategy and tactics with A2/AD. Part Two will explore this aspect as well and how the Navy ultimate dealt with the Long Lance threat. Bob Poling is a retired Surface Warfare Officer who spent 24 years on active duty including tours in cruisers, destroyers and as commanding officer of Maritime Expeditionary Security Squadron TWO and Mission Commander of Southern Partnership Station 2013. From May 2011 to May 2015, Bob served on the faculty of the Air War College teaching in the Departments of Strategy and Warfighting. He was the Naval History and Heritage Command 2014-2015 Samuel Eliot Morison scholar and is pursuing his Ph.D. with the Department of Defence Studies, King’s College London where he is researching Air-Sea Battle concepts used to combat A2/AD challenges encountered during the Solomon Islands Campaign. 1. John Bullen, “The Japanese Long Lance Torpedo and Its Place in Naval History,” Imperial War Museum Review 3 (1988): 69–79. 2. ‘Development of the Japanese Navy’s Operational Concept against America’, Jisaburo Ozawa in Dillon and Goldstein, The Pacific War Papers, (Washington D.C., Potomac Books Inc., 2005), 74. 3. David C. Evans and Mark R. Peattie, Kaigun: Strategy, Tactics, and Technology in the Imperial Japanese Navy, 1887-1941, Reprint edition (Annapolis, Md. : Naval Institute Press, 2012), 7. 5. Evans and Peattie, 275. 6. Bruce Loxton and Chris Coulthard-Clark, The Shame of Savo: Anatomy of a Naval Disaster, 1st edition (Annapolis, Md: Naval Institute Press, 1994), 43. 7. Captain Toshikazu Ohmae, IJN Ret., “The Battle of Savo Island,” U.S. Naval Institute Proceedings 83, no. 12 (December 1957): 1263–78. 8. RADM Victor Crutchley, “Solomons ‘Watchtower’ OPS. Guadalcanal – Tulagi. Admiral Crutchley Report T.G. 66.6 Screening Force,” August 13, 1942, National Archives of Australia: B6121, 105A. 9. Eric LaCroix, Linton Wells, and Linton Wells II, Japanese Cruisers of the Pacific War, 1St Edition,(Annapolis, Md: US Naval Institute Press, 1997), 306. 10. Bureau of Ships, “USS QUINCY (CA39), USS ASTORIS (CA34), USS VINCENNES (CA44) LOSS IN ACTION BATTLE OF SAVO ISLAND 9 AUGUST 1942,” War Damage Report (Navy Department, June 21, 1943), The Navy Department Library, http://www.history.navy.mil/research/library/online-reading-room/title-list-alphabetically/w/war-damage-reports/uss-quincy-ca39-astoria-ca34-vincennes-ca44-war-damage-report-no29.html, 21; Office of Naval Intelligence, “Solomon Islands Campaign II The Battle of Savo Island 9 August 1942 The Battle of the Eastern Solomons 23-25 August 1942,” Combat Narratives (Washington, D.C.: U.S. Navy, October 1, 1943), The Navy Department Library, http://www.history.navy.mil/research/library/online-reading-room/title-list-alphabetically/s/solomon-islands-campaign-ii-savoisland-III-easternsolomons.html., 10. 11. Bureau of Ships, “USS QUINCY (CA39), USS ASTORIA (CA34), USS VINCENNES (CA44) LOSS IN ACTION BATTLE OF SAVO ISLAND 9 AUGUST 1942”; RADM Victor Crutchley, “Report of Proceedings Operation – ‘Watchtower,’” August 18, 1942, National Archives of Australia: B6121, 105A. Featured Image: IJN DD Isokaze at Saeki Bay, October 20, 1941. Colorized by Lootoko Jr.